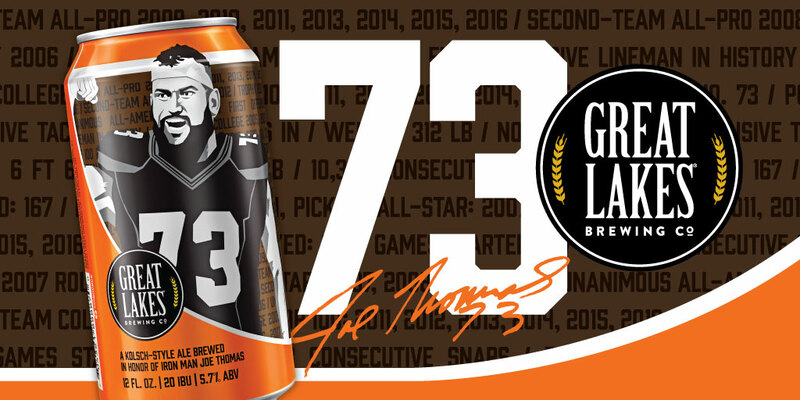 CLEVELAND, Aug. 3, 2018—Great Lakes Brewing Co. (GLBC) announces the creation of 73, a limited edition Kolsch-Style Ale brewed in collaboration with Cleveland football hero Joe Thomas. The light, crisp, tailgate worthy beer named for the left tackle’s uniform number will be available in cans and on draft throughout the Cleveland area beginning in September, 2018. Thomas visited the brewery in June to collaborate on a test batch of 73 Kolsch with GLBC’s brewers. “I love craft beer, and throughout my career in Cleveland I had the opportunity to enjoy some of the best from Great Lakes. I had 11 pro seasons in Cleveland and they’ve had 30, so we’re a good, seasoned match. It’s been so much fun going through the entire process from design through brewing the first batch at the pub,” said Thomas. 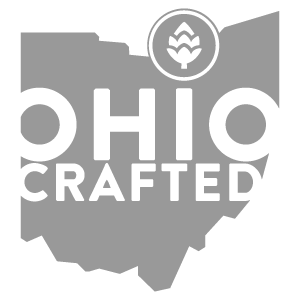 73 Kolsch will be available for a limited time at select Cleveland area retailers beginning this September, in 12 oz. 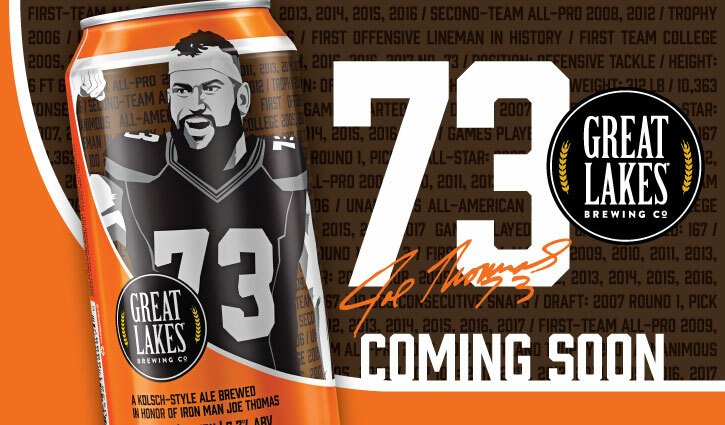 can 6-packs packaged in Cleveland by Iron Heart Canning Co. 73 cans feature an illustration of Joe Thomas by GLBC’s own designer Jameson Campbell and references to Thomas’ career accomplishments, including his 10,363 consecutive snaps record. Availability: September 2018 at the GLBC gift shop and select Cleveland area locations, for a limited time. 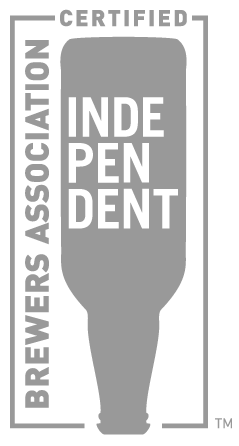 For updates on 73 Kolsch's release and availability, stay tuned to greatlakesbrewing.com and follow us on Facebook, Twitter, and Instagram.